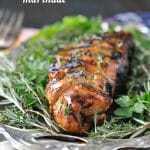 A delicious and juicy garlic brown sugar pork tenderloin. Serve with veggies and mashed potatoes. 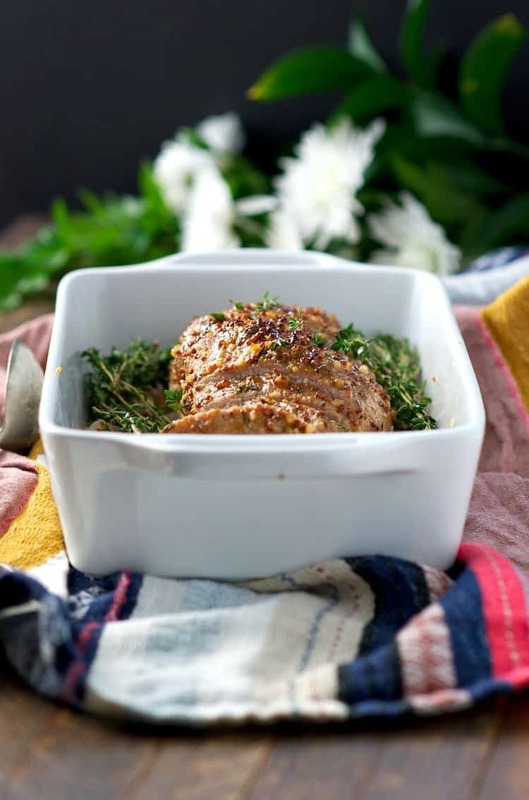 Juicy on the inside and crisp on the outside, this Garlic Brown Sugar Pork Tenderloin is perfect for any family occasion. 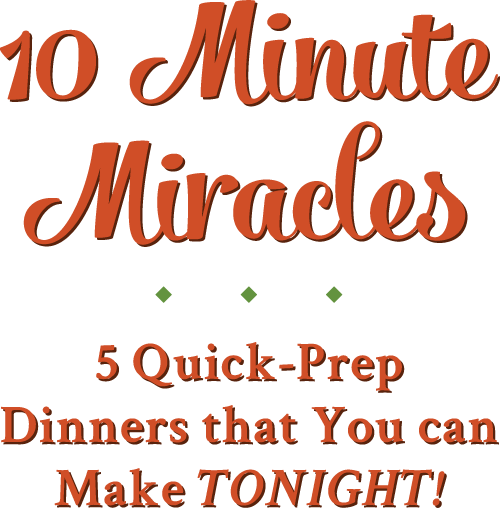 Better yet, it’s made in one dish and requires only 10 minutes prep. It couldn’t be easier! Like any good Southern lady, my Mamma raised me right! While I wouldn’t call us superstitious, she taught me that there are definitely certain traditions to preserve. 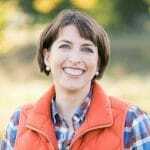 The Spencer Family recipe for Rich Chocolate Frosting is a must on any yellow birthday cake; ambrosia is a staple on every Thanksgiving table; and pork tenderloin is a given on New Year’s Day. We don’t fool with what works or question our good fortune — and wouldn’t you want to start the New Year off right by enjoying a dish that signifies wealth and prosperity too? The truth is, I vividly remember childhood New Year’s Day dinners as fancy occasions with extended family. Mom would prepare a pork dish, and always, always, always serve it alongside Hoppin’ John, greens, and sauerkraut. While my Mom definitely raised me well, I can freely admit that my take on New Year’s is not quite as refined as hers! My idea of a lucky pork tenderloin is one that tastes fancy enough to serve our guests, but that only requires about 10 minutes of my time! Our meals are casual affairs with 4 hungry boys around the table. I don’t fuss over the details, I’m not afraid of shortcuts, and I want effortless food that also happens to taste amazing. 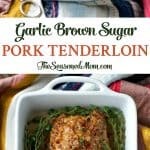 Whether you welcome a New Year with one of my family’s favorite traditions, or whether you’re just serving a quick and easy weeknight dinner, this pork tenderloin is bound to make you feel lucky. I will pair my pork tenderloin with Hoppin’ John and greens on New Year’s Day (just like Mom taught me); but it’s equally delicious alongside a big hunk of cornbread with melted butter and honey on top on any given Wednesday night! 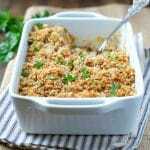 No matter when or how you choose to enjoy this dish, it’s a quick-prep meal that will soon become a favorite in your household as well! Preheat oven to 400F (200C). Spray a baking dish with cooking spray. In a small bowl, stir together mustard, brown sugar, olive oil, garlic, and thyme. Place sliced onion in a single layer in bottom of prepared dish. Season pork with salt and pepper on all sides, and then place on top of onion in the dish. Brush half of the mustard mixture over the pork. 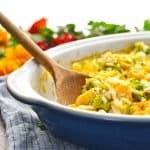 Remove cover, brush with remaining mustard sauce, and put under the broiler for about 5 minutes (or until a crispy crust forms on top), and pork reaches an internal temperature of 140-150 degrees F.
Remove from oven and allow pork to rest for about 10 minutes before slicing and serving. I don’t think we ever had a New Year’s Day dinner growing up. It was usually an extension of Christmas with another side of the family. I think this a tradition that needs to happen though. Merry Christmas friend! 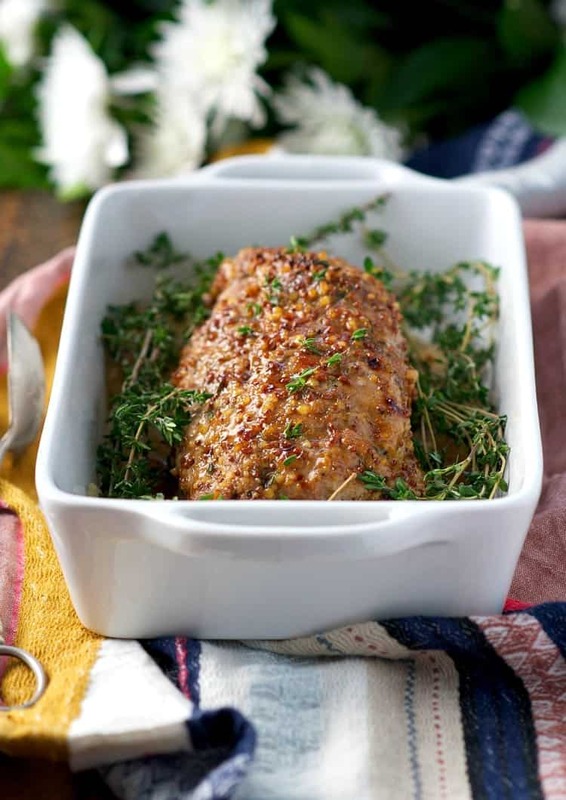 My Mum just bought a pork tenderloin to cook on boxing day (as we’re not having pork on Christmas Day this year) and I think I need to send her this recipe as it looks amaazing! Thanks, Kristy! It’s delicious. 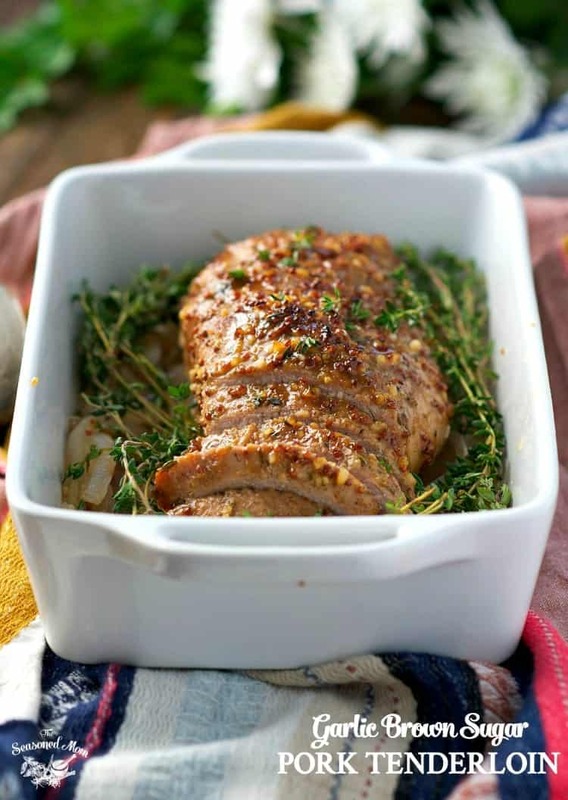 Enjoy that pork tenderloin and have a wonderful holiday with your family! 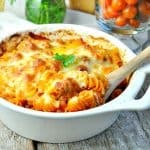 Trying to meal plan today and thought of your site! Thanks for the great ideas…I so need help. I get in such a food rut this time of year! Pork Tenderloin here I come! Does the brown sugar make this taste sweet? Can that be omitted? Try mixing honey with the mustard and this gives the same affect without using sugar. This approach shoukd tenderise the meat more. Looks delicious can I use a 2lb pork tenderloin instead? Would you cook for about 45 minutes then broil for 5 ? That’s a pretty big tenderloin! They’re often sold in packages of two. Have you opened the package to make sure that you don’t have two separate tenderloins packed in there? If you’re really cooking a 2-lb. tenderloin, a good rule of thumb is to cook the tenderloin at 400 degrees for 10 minutes. Then reduce the heat to 350 degrees and continue roasting for about 20 minutes per pound. The best way to really tell if your meat is properly done, though, is to use a meat thermometer and remove it from the oven when it reaches between 140-150 degrees. You can pop it under the broiler during the final few minutes if you’d like that nice char on the outside, but it’s not necessary. Let it rest for about 10 minutes (it will continue cooking as it rests), and then slice and serve. 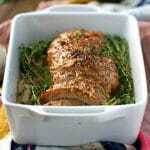 That pork looks so juicy and tender I’ll need to try it with your hoppin john!